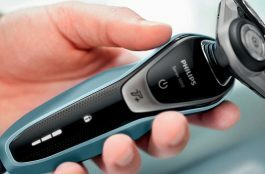 Electric Shaver vs Manual Razor - Which One is The Better Choice? The sound of your alarm clock rudely awakes you at 7:30am. It’s a cold winter morning in 1953, that begins with a shower and a shave. You head to the bathroom, fit a shiny new sharp blade to your double-edged safety razor that’s served you well for many years. You lather up some shaving soap, spread the soap over your stubble and begin the drudgery of shaving. After some time, you finish your grooming routine, feeling baby faced and fresh, you sip some coffee and sit down to read the morning newspaper. You discover an electric razor. Every wasted minute that your daily shaving routine has robbed from your life over the past 20 something years flashes right before your eyes. Dazzled by this technological marvel, you read on. 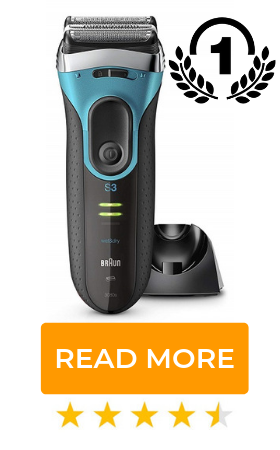 Is this machine really good enough to replace a manual razor? 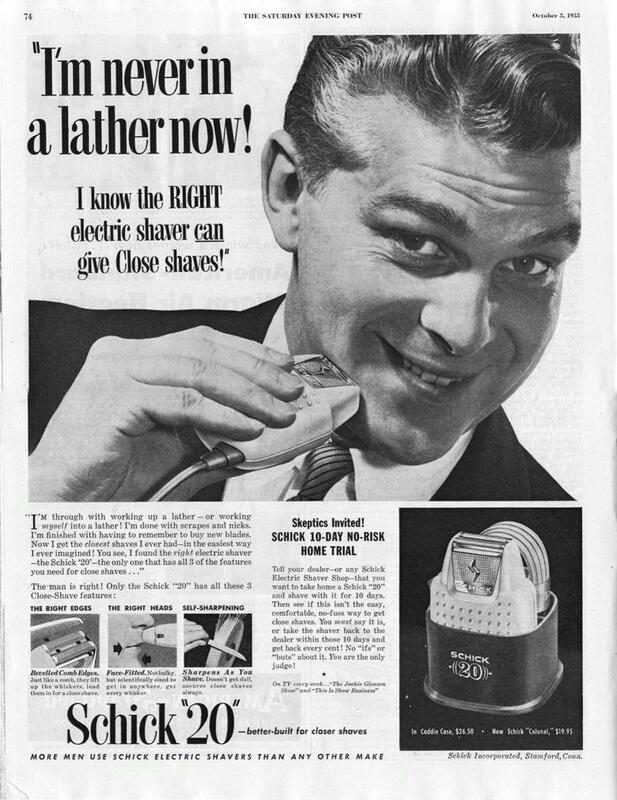 Today, men are still asking the same question they asked in the 1950’s – are electric shavers better than manual razors? The very first electric shaver was designed by an American inventor called Jacob Schick, but it wasn’t until the introduction of the “Schick 20” electric razor in the early 1950’s when they took off and seemed like a viable replacement to the outdated manual razors of bygone. 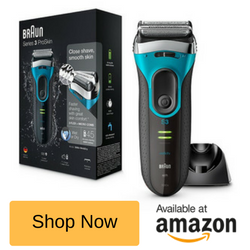 Electric shavers have evolved over the years, becoming battery powered and cordless, and developing advanced features to produce a shave close enough, and smooth enough, to rival the manual razor blade. Should You Pick an Electric Shaver or Razor? I believe this debate will continue to rage on into the future, but today I’d like to educate you on the pros and cons of electric shavers and manual razors, so you can make up your own mid. Of course, we might be a little bias towards the electric option, since we’re electric shaver fan boys here at electricshaversuk.co.uk. So, the best way to settle the argument over which one is the better choice, would be to list the pros and cons of each and have you decide for yourself. Let me here a Hell Yeah! Ok, that was a bit over dramatic and pointless, but I’m not deleting it. First, let’s talk about the electric shaver and list their advantages and disadvantages. 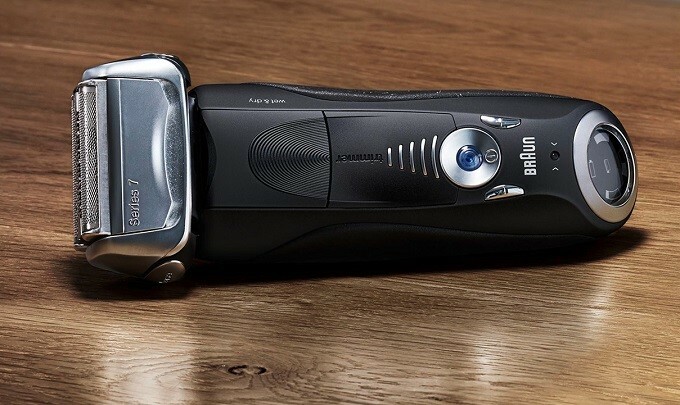 Speed: You’re able to complete your shave faster, as wider shaving heads cover more surface area, and more efficient cutting systems means less passes over the skin – combine to get the job done in less time. In the case of speed, electricity, and technology wins. Most advanced shavers lift hairs away from the skins surface, and multiple cutting elements work synergistically to maximize cutting. Styling: You’ll find that a lot of electric shavers have built in trimmers which allows you to easily shape and style stubble, sideburns, necklines, moustache, and beard. This is much more difficult, if not impossible, to achieve with a manual razor. Better for Travel: Electric shavers are portable and great for travel. There’s no need to bring any shaving lubricants, or brushes with you on holiday or short trips, and most come with secure travel cases for extra convenience. Further, the chargers are compatible with power outlets, worldwide. Dry Shave: The ability to shave without foam or soap was the main marketing angle and buying advantage of switching to electric. A quick, close, dry shave, without the mess. It’s fuss free shaving, anytime, anywhere – without needing a sink or water. Some of the best electric shavers give you the versatility of a wet or dry shave. Cost Effective: There’s no need to constantly replace razor blades, as the foil cutters only need replaced about once a year. It’s like set and forget shaving. 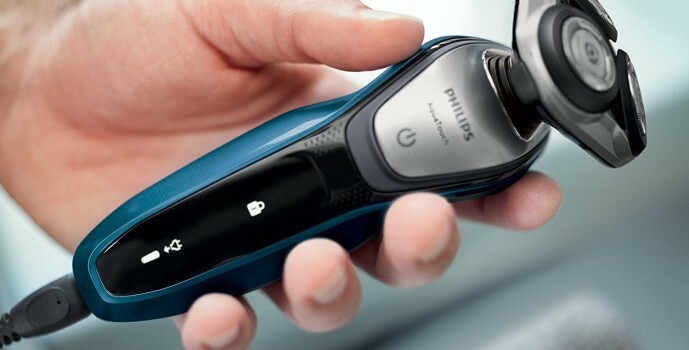 Cool: Modern electric shavers from Philips, Braun, and Remington are a far cry from the fragile looking, and very basic shavers of 60 years ago. They look really slick, are comfortable to operate, work extremely well, and they’re just “cool”. – I hope that doesn’t come across as too bias, I’m just throwing in my personal opinion on that one – aesthetics are relative. Loss of Power: If the battery dies mid-shave then your shave stops. Always make sure that your electric shaver has very clear battery level indicators, and a “Quick Charge” feature in the event of a drained battery. Noisy: Let’s be real – electric shavers can be load, and a lot of noise from the buzzing motor and moving parts in a quiet morning can wake up sleeping loved ones – which is not ideal. However, a high-quality model should be quiet enough, and their portable nature and ability to dry shave means you always have the option of shaving some place that won’t disturb anyone. Maintenance and Upkeep: You’ll need to keep your shaver oiled, supplied brushes are used to clear hairs and dead skin cells from the shaver head. Your electric shaver should be waterproof, which makes cleaning as simple rinsing under running water while switched on. It certainly takes more care than a manual razor, which is something you’re just throwing in the bin every week or two. Not as Close a Shave: Of course, electric shavers give a very close and smooth shave, but nothing beats a wet shave in this regard. Electric shavers are great for everyday use, but for a special occasion like a wedding or formal meeting, a wet shave with sharp razor is the only way to get an ultra-close shave. 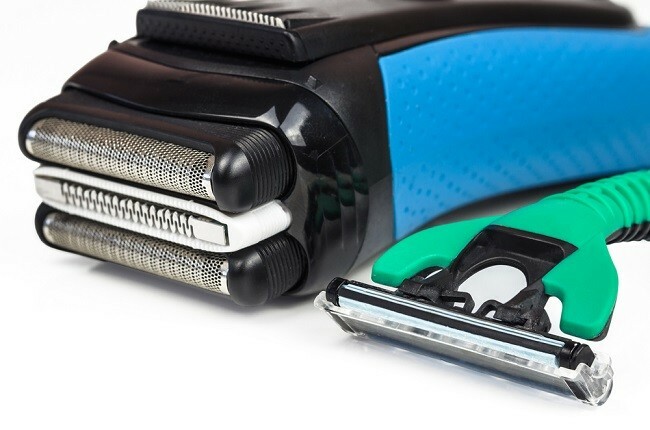 Upfront Investment: Manual plastic cartridge razors, and safety razor blades are relatively cheap, but an electric shaver worth buying can set you back £40 – £200. Now, it’s a big upfront expense, but it’s less, or close to the cost of manual shaving over 12 months. If you shop around, you’ll be able to get your hands on something good for under £100 that will have all the performance and features you need. 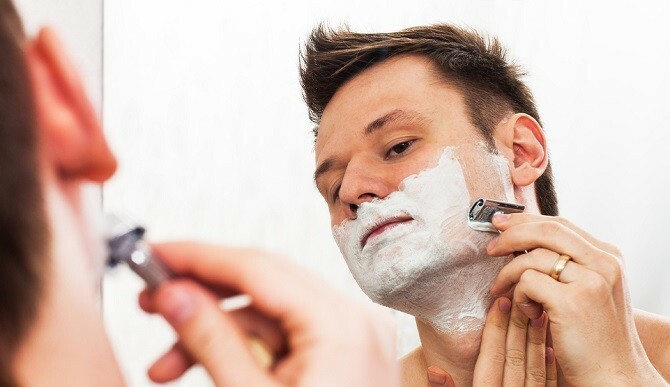 Less Manly: Some men enjoy the morning wet shave routine, and that vintage fresh shave that you can only get from a straight or safety razor – there’s just something masculine about a classic wet shave. If that’s your preference, like vinyl records and old whisky, then a modern electric shave might not be for you. Are Electric Shavers Good or Bad for Skin? Before we get to the electric shaver antagonist – the trusted manual blade – I need to address a concern that I hear often. 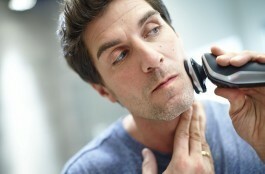 It’s the concern than an electric shaver might damage or harm your skin in some way. I can understand where this disquietude comes from, after all, you’re pressing a machine with moving, buzzing blades against your skin. But rest assured, these blades are behind dermatologically tested foils, that are specially designed to work with human skin and safely cut hairs. Now, are you never going to get a nick, or a cut, or irritation, or redness from using an electric shaver? Of course it’s possible, the occasional nick can happen, and not everyone’s skin is going to be suited to an electric shaver. It may aggravate, or it may improve your tendency to get ingrown hairs or shaving rash. But they are not generally “bad” for your skin, they can produce the same negative/positive effects as any other grooming tool, it comes down to how your skin reacts, individually. The only way to find out of an electric shaver is better for you is to run a few experiments. Try a manual razor one week, then use a foil shaver for the next week, and the third week try a rotary shaver, to see which option works best with your skin type and beard growth. Sure, a little trial and error might be a hassle for a few weeks, but shaving is something you’re going to be doing for the rest of your lifer, a few weeks of experimentation for a lifetime of comfortable, enjoyable shaving sounds like a good investment of your time, and money. In fact, those who suffer from sensitive skin from shaving have seen a reduction in sensitivity when using a premium electric shaver with sensitive gels and foams, so it’s well worth a try. When we talk about manual razors, there’s 3 types. Plastic cartridge razors, think Gillette Fusion, mach3, Wilkinson Sword, or Kent. Now, they all operate in pretty much the same way – you’d wet shave by applying a shaving foam, gel, cream, soap, or oil into the skin, then cut hairs off by scraping a sharp razor blade over the skin – whether it’s a cartridge, DE, or SE, they all work the same way. So, when I discuss the pros / cons below, I’m referring to all of the above methods of manual shaving. Closer shave and smoother finish. Fairly low cost and razor doesn’t require any maintenance. Simply throw-away and replace when blades become dulled. Feels more “manly” and traditional. More prone to cuts and shaving bumps. Slow and tedious as you have to rinse the blade after each pass. Requires water and shaving lubricants, so you’re always confined to a sink. Regular replacement of blunt blades can become burdensome. Blades often clog with hairs, skin, and soap, which can interfere with the consistency of your shave and slows the process down. If you need the closest, cleanest shave possible then a manual shave might be your best bet, because the blade is always in direct contact with your skin, means it can cut closer than any electric shaver ever could. Electric powered shavers have a thin cap of metal foil on the head which prevents the rotating blades from coming into contact with your skin. This prevents an electric shaver from ever getting as close as a manual razor would. This does come at a price though. Because manual razors actually drag across your skin you can easily damage your skin or even cut yourself. 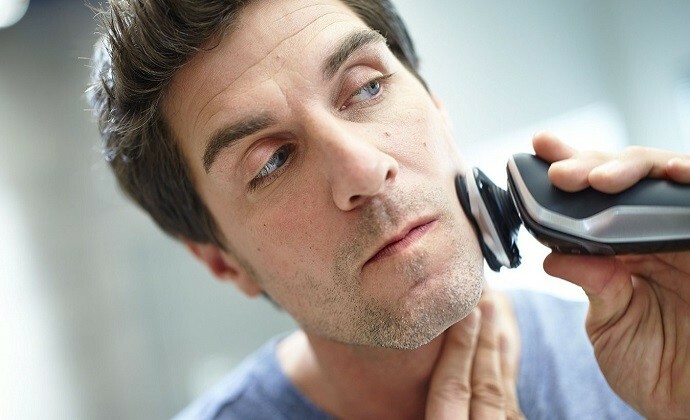 An electric shaver almost completely eliminates the risk of damaging your skin while shaving. Hands down the winner of this battle is the electric shaver. While you may benefit from the refreshing, and calming effects of shaving with a manual razor, it can easily take 3 to 4 times longer than its electric competitor. Shaving electric will only take 3 to 5 minutes to shave your entire face while manual could easily take 10 to 15 minutes. While it isn’t exactly rocket science to use a disposable shaver, an electric shaver is still much easier. The biggest problem with a manual razor is all the prep time involved. It’s nearly impossible to use a manual razor without some kind of shaving soap or cream. With an electric shaver you can just jump right in and start shaving in mere seconds. While both methods may be fairly straight forward using an electric still beats manual in this category. Overall it’s pretty easy to see that an electric shaver makes a much better choice than a manual shave, in most cases. While you might not be able to get as close with electric the other benefits certainly make up for this single shortcoming. While both may have their unique advantages and disadvantages, and after reading some of the pros and cons, you might just switch to electric.